Cobalt-60 Teletherapy Machines are used for the treatment of localized cancers. The number of teletherapy facilities in the country is highly inadequate. 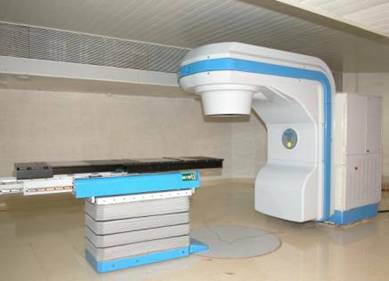 The indigenous Cobalt-60 Teletherapy Machine has a capacity of 200 RMM source and its source to iso-centre distance is 80 cm. The system has unique user-friendly features and fully closable collimator for improved radiation safety.